Help patients offset rising healthcare costs and get more of the medical supplies and equipment you provide – like hospital beds, mobility aids, and more. All without hidden fees, costs, or hassles to your business. We pride ourselves on our high approval rates. More approvals mean more happy customers - and more revenue for you. We transfer funds to your business within days, via direct deposit. That means no waiting to get paid and no billing or collections headaches. You’ll also have free technical and marketing support, plus a dedicated Relationship Manager who will always be on-hand to provide expert guidance and help you reach your business goals. It’s everything you need to help you grow. Don’t let high fees chip away at your bottom line. 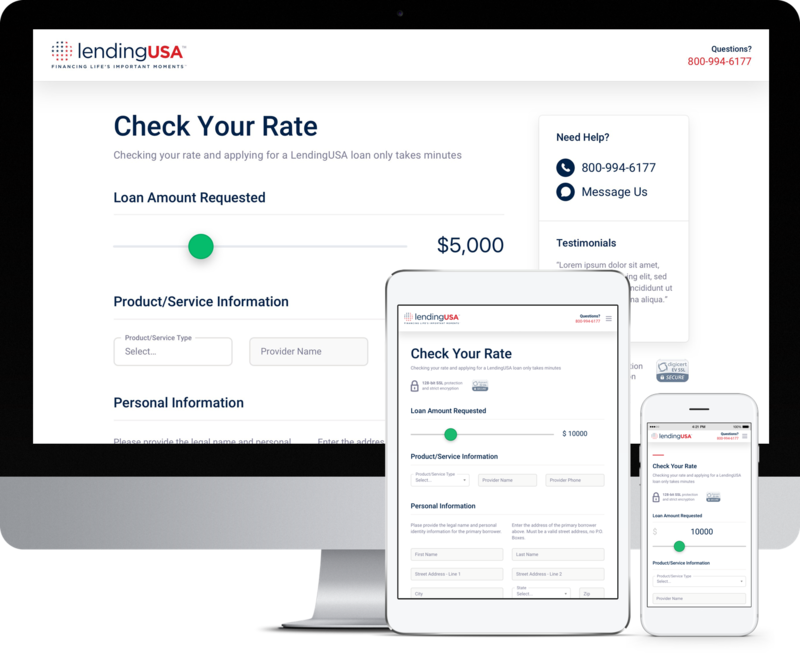 LendingUSA charges no fees for prime loans, so you keep more of what you earn. Try a free demo and find out more today.